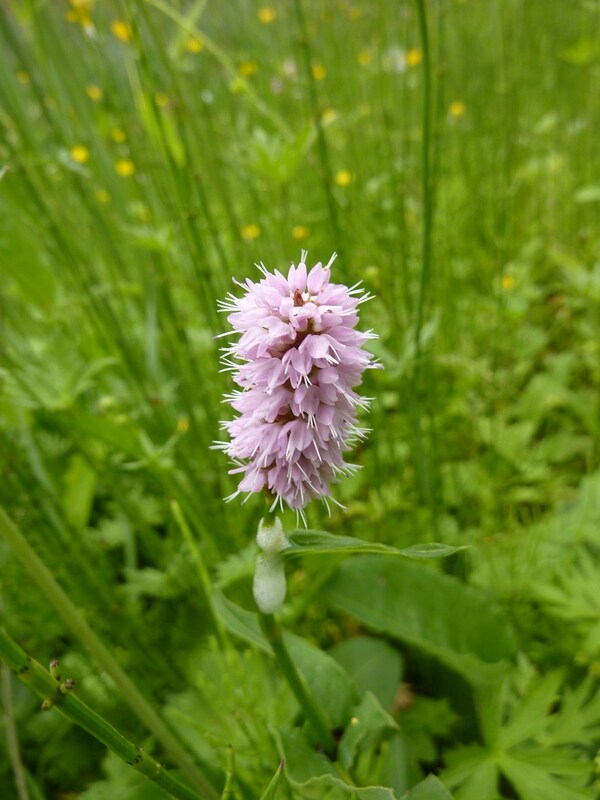 Many activities were organized in European countries, and here in Brussels, le Jardin Massart (on which I had made a previous post here, introducing a bizarre parasitic plant) was exceptionnally open on a weekend day…a very nice opportunity to discover the late Spring flowerings. The Jardin Massart is divided in two parts : one being a botanical garden, the other a Natura2000 reserve. 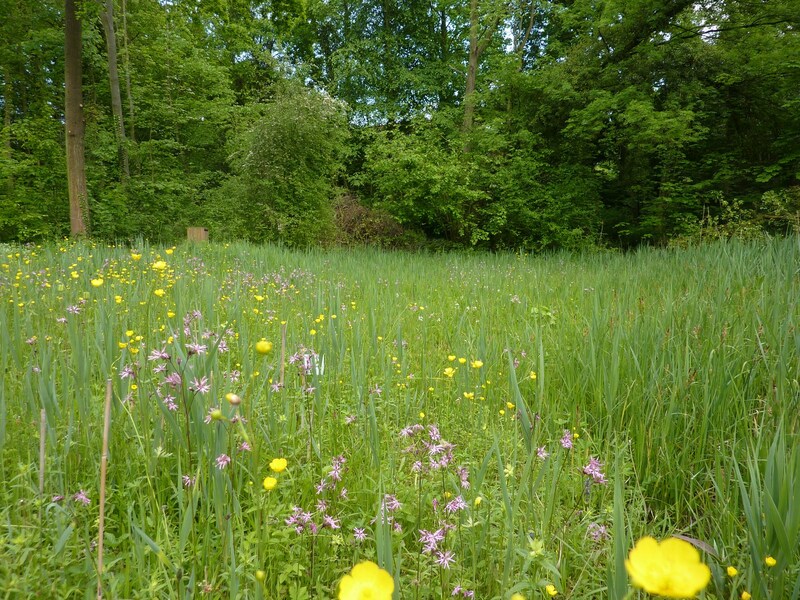 Located on the edge of Brussels, it’s home to rare species and encompasses remnants of the humid meadows which used to surrounder the city. The visit was a wonder for the eye as you can see! 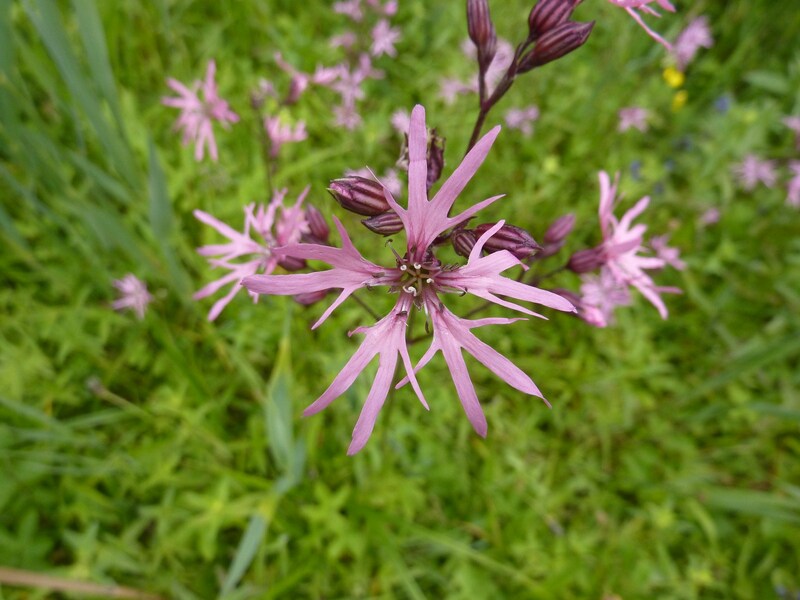 The golden buttons of Buttercup mixed with the delicate flowers of Ragged Robin (Lychnis flos-cuculi) or the tender pink spikes of Bistort (Persicaria bistorta) form a beautiful picture. 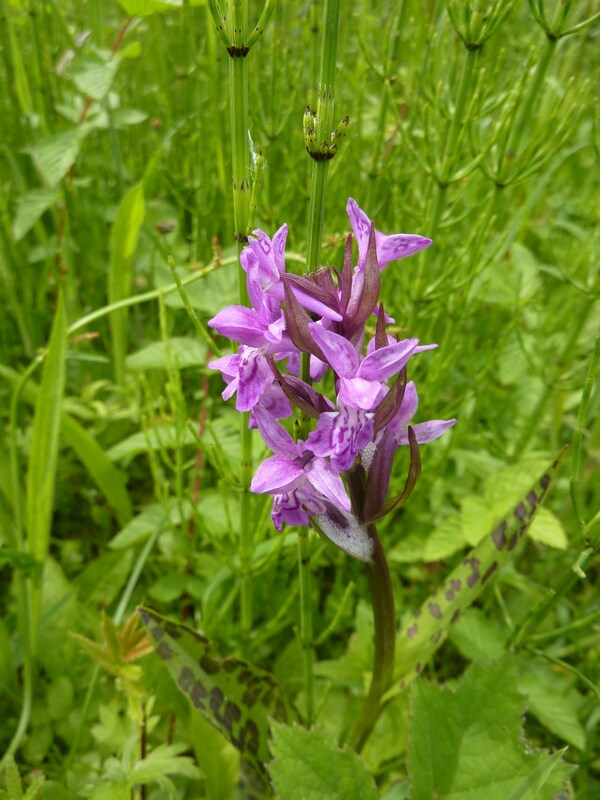 Even in Brussels, there still are some places to see wild orchids! 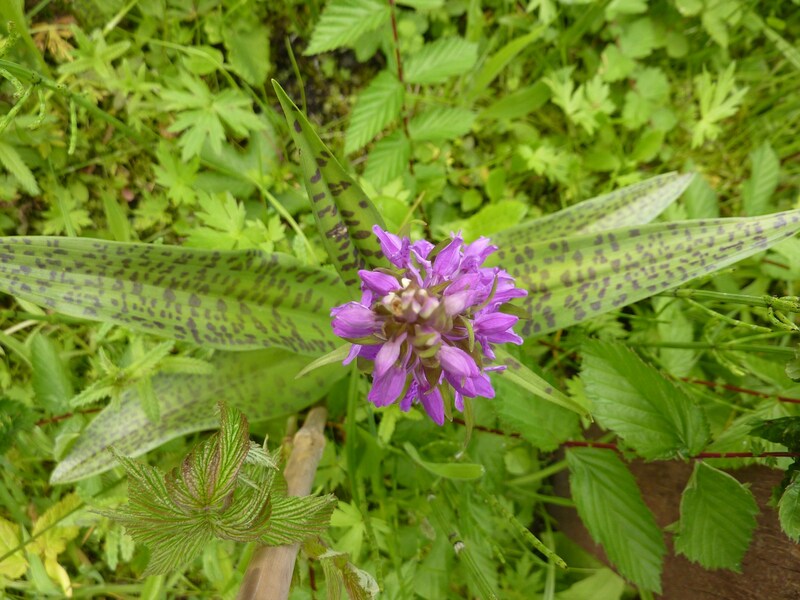 This one, which has many purple spots on its leaves is the western marsh orchid, Dactylorhiza majalis (majalis meaning May in latin..there we come! :D). On Cuckoo flower (Cardamine pratensis), I managed to snap this lovely little one. It’s called Cauchas rufimitrella, and belongs to the Fairy long horn moth family (aah, English names are so evocative! :D) because of its very long antennae (the body is only 1 cm long). 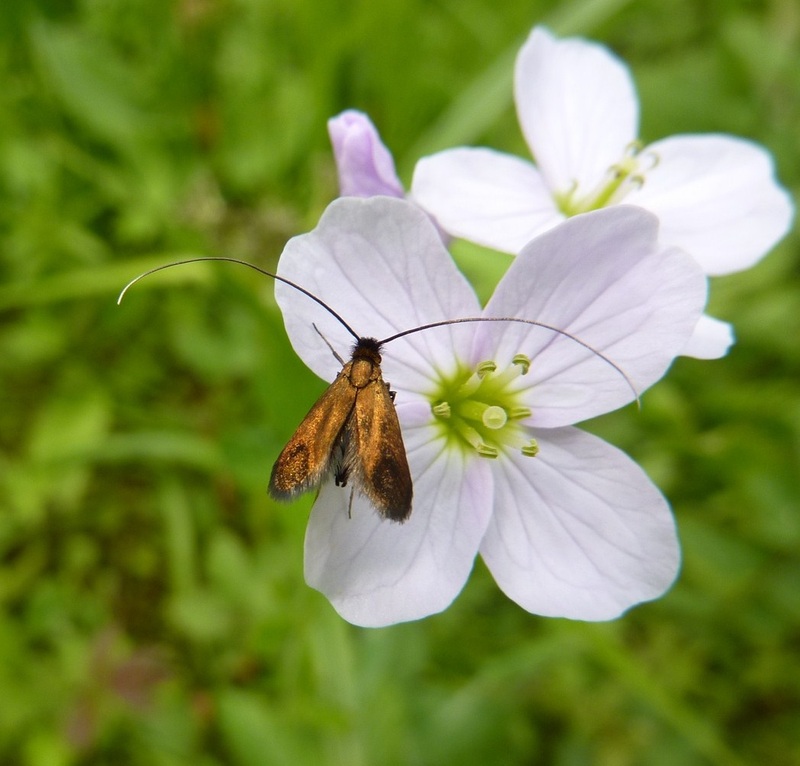 And what a big surprise…the adult lays its eggs on the seeds of the cuckoo flower! Now if you’re tired of pink flowers, white ones are not absent from this little meadow! 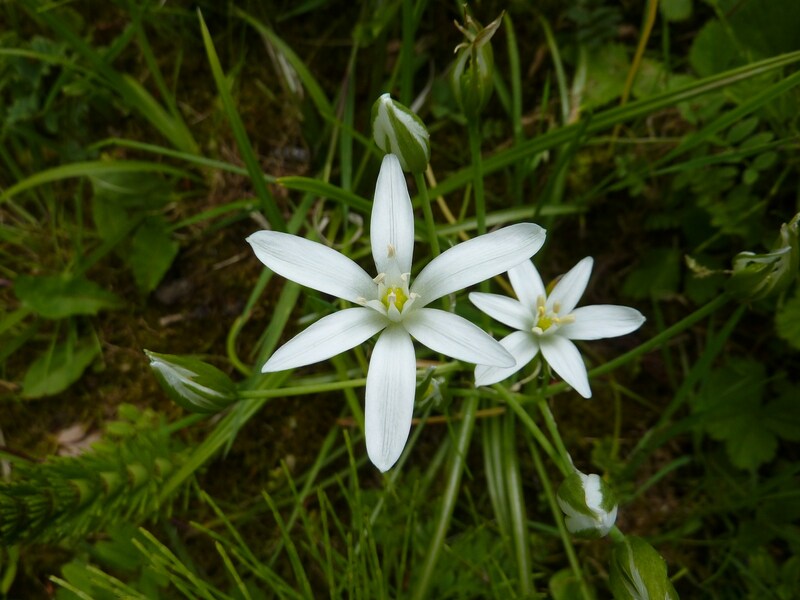 Check for example Ornithogalum umbellatum (Star-of-Bethlehem), a relative of hyacinths, which displays lovely star-shaped flowers. Finally, a yellow one which looks rather “normal”…but beware! In an earlier post , I had introduced Lathraea clandestina, a holoparasite (no “green parts”, no photosynthesis…the plant has to take everything from its host). 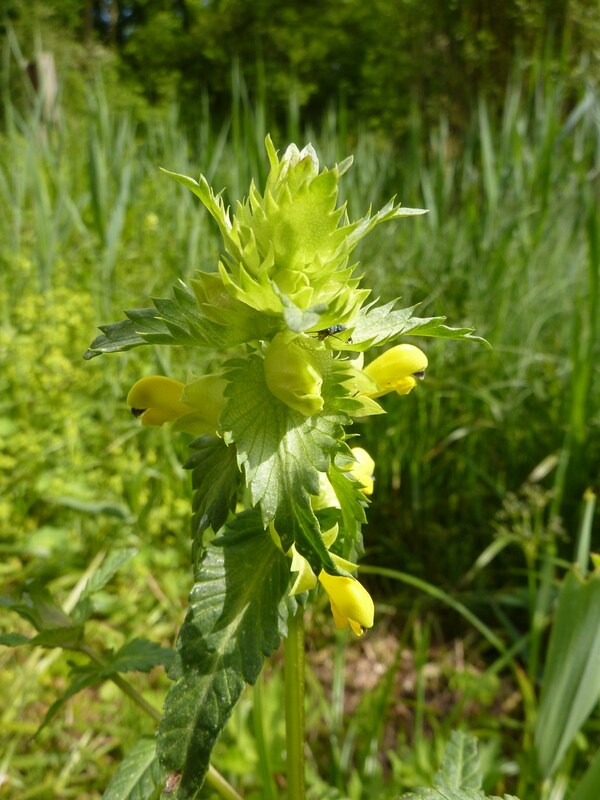 On the contrary, the yellow one pictured here, Rhinanthus angustifolius (the Greater Yellow-rattle), is a hemiparasite (like the well-known Mistletoe). “holo” meaning “all”, and “hemi” meaning “half” in greek, I let you imagine the rest! It’s green, so it can photosynthesize and survive on its own, but it grows much better when there is a host to provide water and nutrients. A great post – I really like the photos. Thanks for the information about parasites.